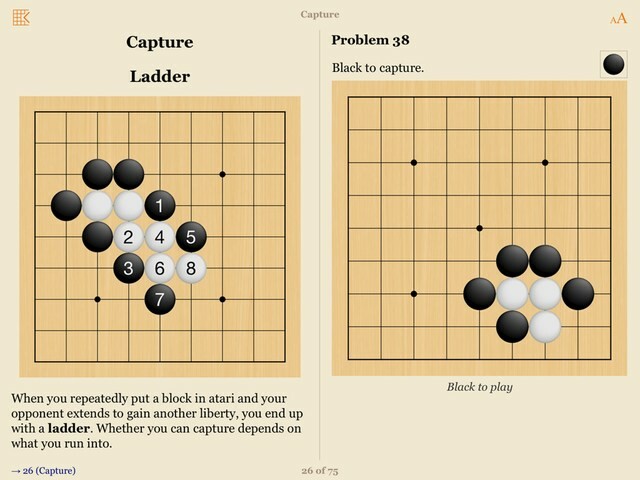 SmartGo Kifu is a Go board that’s always with you, complete with thousands of Go problems and over 102,000 professional game records. It's the perfect tool to study and enjoy Go – anywhere, anytime. Given a corner or full-board position, SmartGo Kifu shows you the moves played by professionals, sorted by frequency. It does this by finding matching positions in the whole game collection. 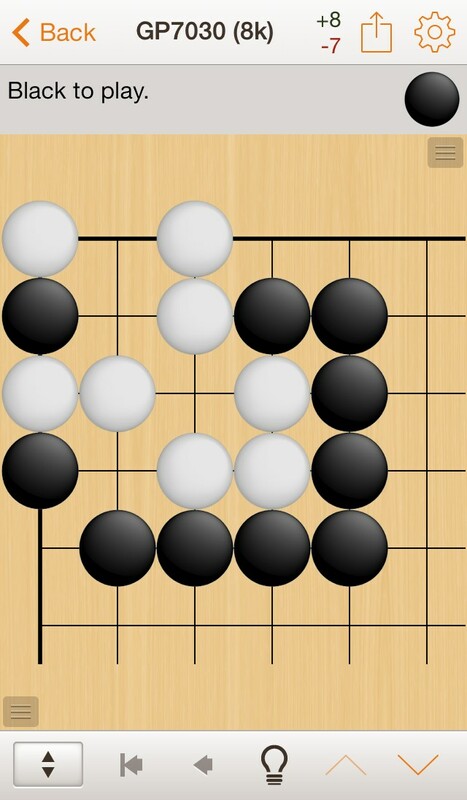 Explore the matching games to see how games typically develop after a certain opening or joseki. SmartGo Kifu includes the full GoGoD collection of over 102,000 game records, from classic games to modern tournaments. Search by player or year to find the games you're interested in. Read biographies of many of the players (English only). Replay games move by move, or use Guess Move to treat each move as a full-board problem. Wondering about the app name? 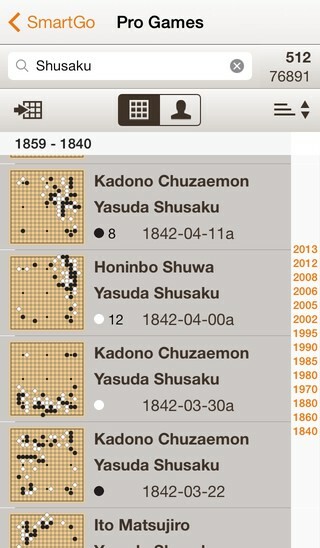 Kifu is Japanese for game record. Solving problems is one of the main ways to get stronger. 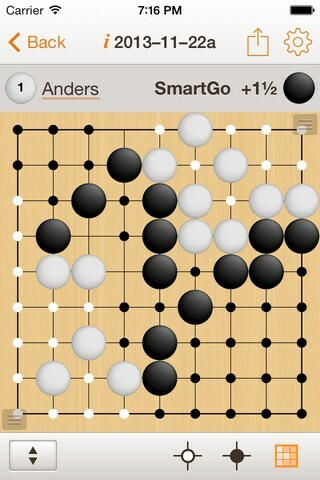 SmartGo includes over 2000 problems. SmartGo will present the problems and keep track of your progress. The problems range in difficulty from 30 kyu (beginner) to 6 dan (strong amateur). 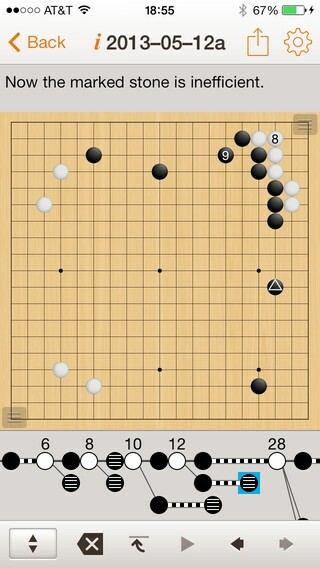 They include life & death, tesuji, endgame, and best move kind of problems. The problems are also rated in terms of 'coolness', giving you a chance to work on the more interesting problems. You can search and filter by any criteria. 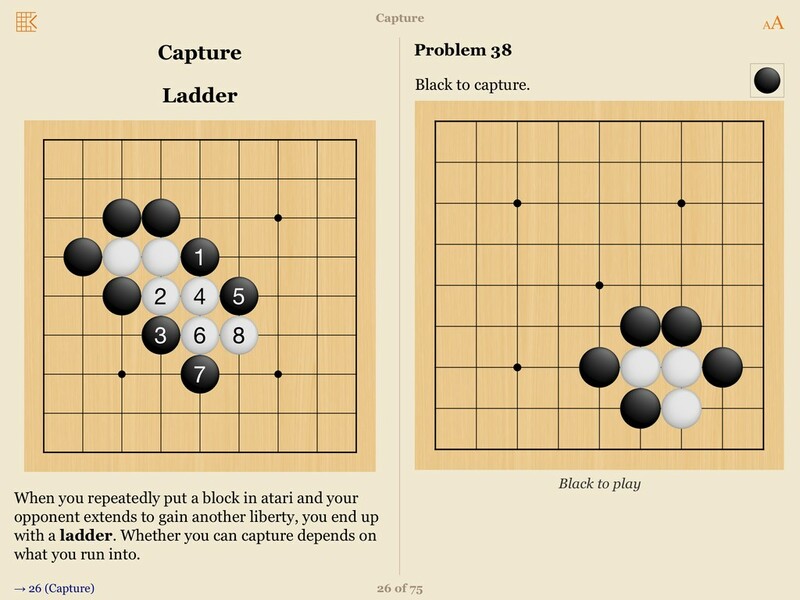 SmartGo Kifu provides an innovative way to replay games. In addition to replaying games move by move, you can view each game as a series of figures, with diagrams automatically illustrating comments and variations. 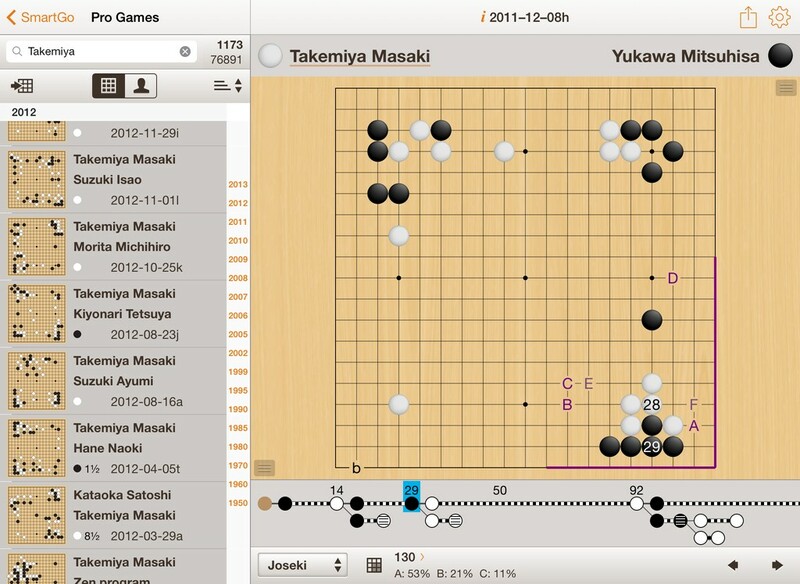 SmartGo Kifu comes with 30 annotated games that showcase this capability, and you can import your own games. 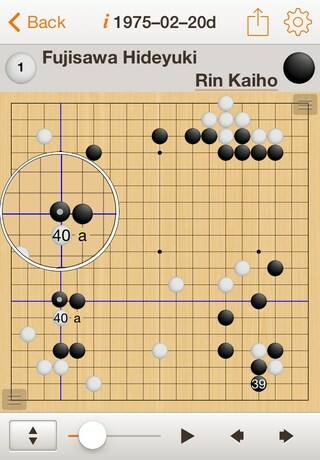 The tree view in SmartGo Kifu makes navigation easy. By compressing regular black-white-black-white move sequences and emphasizing branch points and annotations, the tree view reveals the structure of an annotated game. Game recording and editing features have been fine-tuned through actual use at many tournaments, so it's a snap to record your over-the-board games. For example, you can adjust misplaced moves, insert a pair of moves, add comments, and email the game record to your opponent. 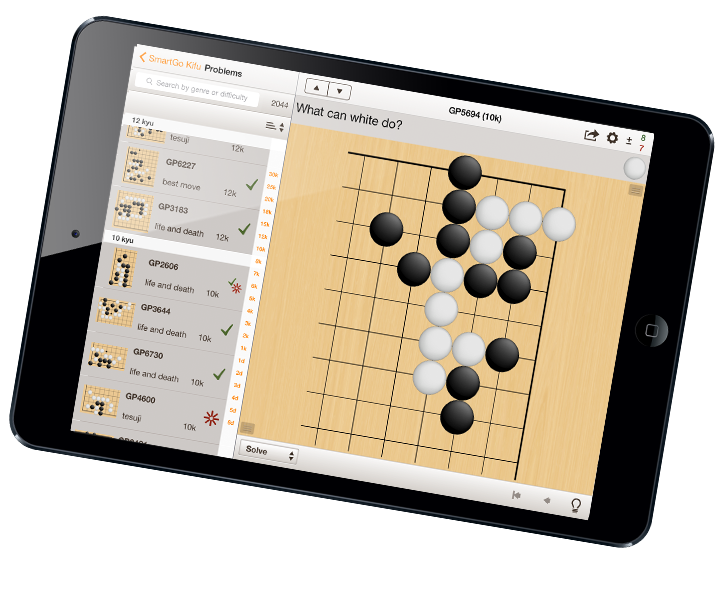 SmartGo Kifu features the same powerful engine as SmartGo Player. Play against the computer, take back moves, get hints, have the computer estimate the balance of territory. Replay the game and explore different variations. 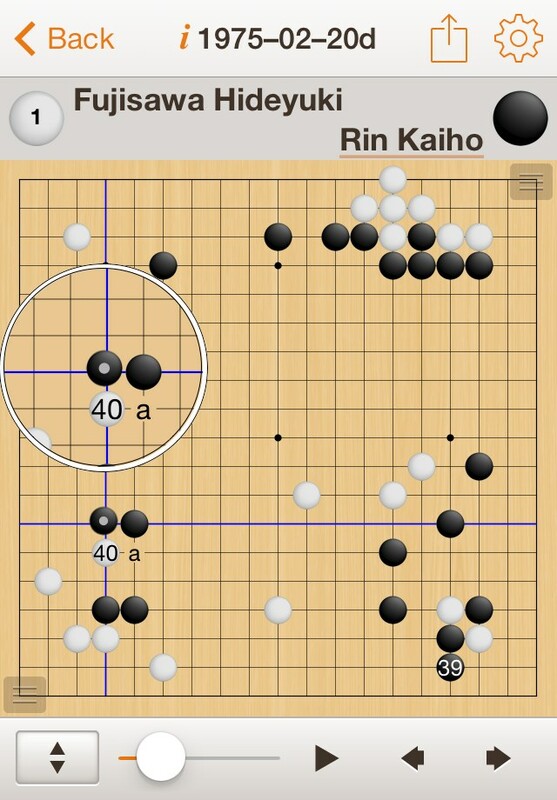 SmartGo Kifu is designed as a versatile tool for Go players who want to study professional games, practice Go problems, record their games, as well as play against the computer.